If you have been searching Google for Professional Hair and Makeup Gold Coast and haven’t found what you are looking for, then the team at Richelle Darben Makeup can help. Richelle Darben Makeup is based on the Gold Coast offering exquisite professional hair and makeup services to clients who are looking for that wow factor at their next event, function or business engagement. We all know the impact that first impressions can make, so why not have your hair and makeup done by the experts at Richelle Darben Makeup. 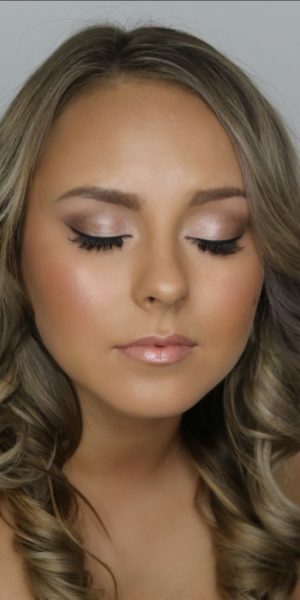 Our services are very affordable, yet we use quality makeup products and lashes while applying professional techniques that highlight your natural beauty and features. Our highly experienced team use refined techniques which deliver long-lasting results, so you can count on your makeup to last throughout the event. After all, our main specialty is wedding makeup, so we are used to working under pressure and having to deliver flawless hair that won’t let you down. We don’t just provide professional Gold Coast hair and makeup services, we also provide mobile hair and makeup services in Brisbane and on the Sunshine Coast.